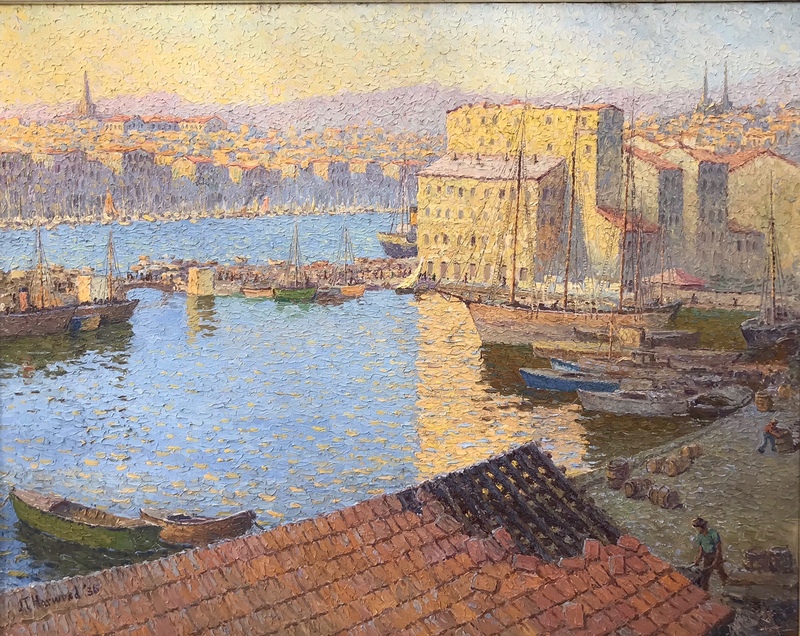 Harbor scene by J.T. Harwood, part of the Logan School District collection. 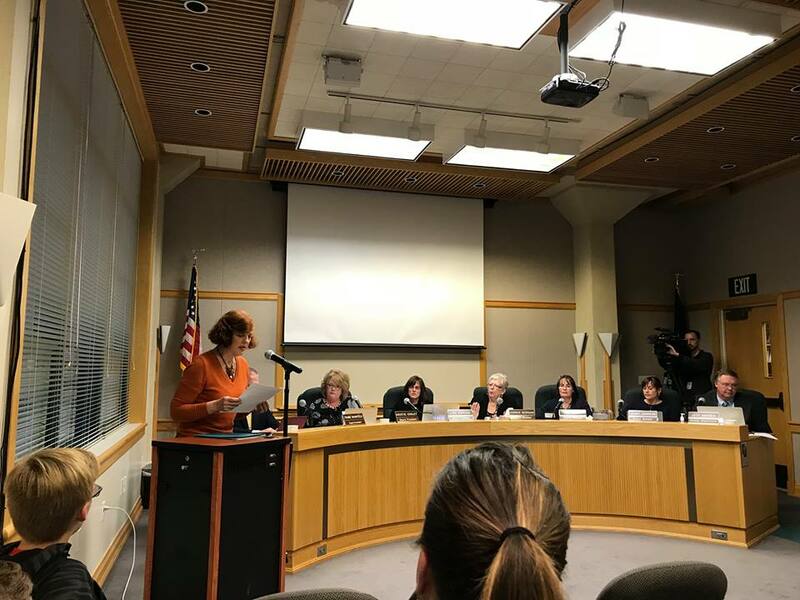 Controversy has erupted over the Logan City School District’s decision to sell 11 paintings by regional artists apparently purchased through a program of early arts champion and Utah state representative Alice Merrill Horne, whose 150th birthday was celebrated Jan. 2. She helped 37 school districts and libraries across Utah begin their own collections of original work by regional artists so that students could experience fine art firsthand. The statewide investment started with nickels and dimes — milk money collected by Utah children in the 1930s for art that is now worth millions of dollars. Giclees are being made of the 11 works being sold in Logan to exhibit in the schools, and funds raised will go toward conserving the remaining 30 “lesser” works in the collection and to send students on field trips out of state to view art – not to support football, says Logan City School District Superintendent Frank Schofield. “We saw that the works plucked from the collection are top-tier – including a jaw-dropping large Harwood harbor scene, a huge Millet copy done by Harwood right in the Louvre, a lovely early LeConte Stewart [1924, that Ericson says will go for $80,000-$100,00], a powerful Birger Sandzén [an atypical oil by the Kansas watercolorist who taught at USU for a time].” There’s a Moser and a Phillip Henry Barkdull, too. Clearly, he says, “the district was unable to care for these paintings and is doing the responsible thing by putting them up for sale.” The gallery is accepting bids through noon on Jan. 31. Ericson points out that every school in the state of Utah has this problem to a greater or lesser extent and says people should have been involved with the issue 50 years ago. “We really have very few museums in Utah and the state has no money to buy these major paintings. That’s the tragedy. The money from the sale is all going to the Education Foundation in the district, and it’s my job to see that they get the most that they can get out of it. What’s great about this is the discussion and what people are doing. The PTA and all of us as parents should be finding ways to do it. “The public has 30 days to find people to bid and buy the paintings,” he says, adding that he wanted the artworks brought to Salt Lake City to broaden the scope of people who are looking and bidding. “We hope the State of Utah considers having an art museum. The best thing they can do [with the school collections] is put them in a public place. It’s us being responsible for our assets,” Ericson stresses. It’s suggested on the petition that the works be loaned or donated to Nora Eccles Harrison Museum of Art, Springville Museum of Art, Logan City’s new library, UMFA, Capitol Preservation Board, Utah Division of Arts & Museums or expanding the new Logan History Museum to include art. Other speakers before the Board were Scott Bushman, from the Cache County Historical Society; Marissa Vignault, USU art history professor and parent; Glen Edwards, local artist and retired USU art professor; Barbara Edwards, local artist; Nadra Haffar, former NEHMA education curator; Karen Horne and her sister Bonnie Horne Schroader, a former Arizona school board member familiar with funding and budget issues who requested that the board look at a specific state policy on surplussing items over a certain value and whether they are following policy by having a closed-bid auction. Karen Horne addresses the Logan City School Board during the comments section of Tuesday’s meeting.